Yesterday Birss J made yet another order pursuant to s97A of the Copyright, Designs and Patents Act 1988 (CDPA) [this is the provision by which the UK implemented Article 8(3) of the InfoSoc Directive into its own national law; for earlier cases, see here] to block access to websites hosting unauthorised content whose copyright is owned by members of the Motion Picture Association of America (MPAA). The case was 20th Century Fox and Others v Sky UK and Others. The application concerned 9 different target websites and was initially made on paper. After recalling the conditions under which an order may be granted on paper (which in any case is something for the court to decide), Birss J refused to deal on paper with this particular application. This was on consideration that, because of their characteristics, five websites raised "new and different issues" [para 15] from those considered in earlier applications. All such websites employed the same Popcorn Time system which - in Birss J's opinion - would not allow per se a finding of infringement - whether primary or secondary - of the right of communication to the public within s20(2)(b) CDPA. 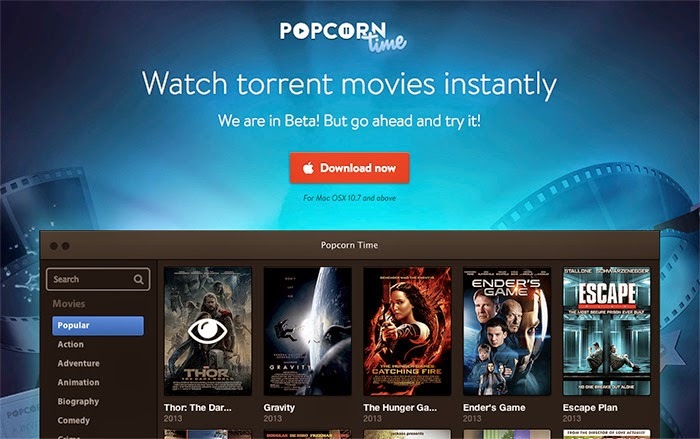 As explained by the judge, Popcorn Time refers to an open source application which must be downloaded by the user onto their computer from a Popcorn Time application source website (PTAS website) to browse, search and locate film and TV content using the BitTorrent protocol. The application, which is free to download and does not require the user to return to the PTAS website at all afterwards - operates as a Bit Torrent client but with the addition of media player software, an index/catalogue of titles and images and descriptions of titles. Once a work has been selected the application downloads the content using the BitTorrent protocol, but the user may start watching it as soon as the process starts, ie without waiting for the completion of the download. Popcorn Time applications locate torrents by searching catalogues of existing websites which host those torrents. At times they do so by circumventing existing blocks [so the (evergreen) question may become: are blocks effective?]. (4) that the ISPs have actual knowledge of this. While (1) and (4) were not really controversial in this case, Birss J focused his analysis on (2) and (3). In relation to the latter the judge found that the Popcorn Time application was a means necessarily used for users to infringe the copyright of the claimants in many senses. However whether (3) was also met in this case proved more challenging to determine. As happened in previous applications for blocking orders, the applicants had put their case in three ways: (1) communication to the public; (2) authorisation, and (3) tortfeasance. 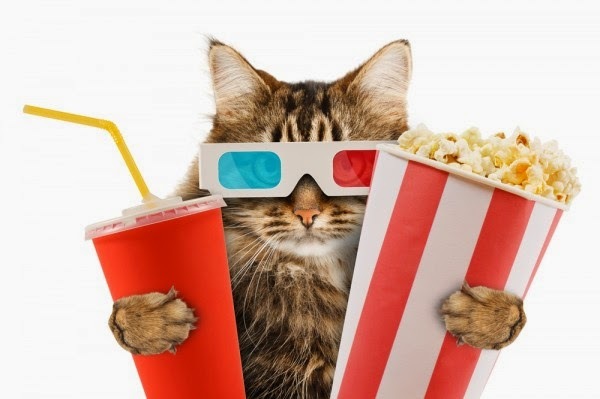 While Birss J found infringement in respect of (3), he held that the Popcorn Time system did not infringe copyright by means of (1) or (2). In this Kat’s opinion, the part of the decision on (1) in particular is fairly interesting. Although Birss J did not refer to recent decisions of the Court of Justice of the European Union (CJEU) on the right of communication/making available to the public, he appeared to dismiss implicitly the approach taken in Svensson [Katposts here] and its progeny, ie BestWater [here] and C More Entertainment [here and here]. This bit of Birss J’s decision is in line with what the European Copyright Society suggested in its Opinion on Svensson [cf the very different approach taken instead by ALAI, on which see - amongst others - here], ie that to have an act of communication it is necessary to transmit a work. In relation to the Popcorn Time system this was tortfeasance in relation to (3), but not communication to the public or authorisation, as had been instead the case in previous applications. No, I don't think that Birss is saying that "to have an act of communication it is necessary to transmit a work". As he reviews at 35 and then himself summarises at 37, Bittorrent index sites such as The Pirate Bay "have been held to infringe copyright by communication to the public even though the infringing copy of the copyright work itself does not come directly from those websites", but instead because the websites had "intervened in a highly material way to make the copyright works available to a new audience" by containing "catalogued and indexed connections to the sources of those copies". (37). However, since a PTAS site does not contain any information about any work, he doesn't see how in any sense it could be 'communicating a work'. (38). As you say, he doesn't explicitly consider Svensson et al -- but those cases were about links, which did explicitly relate to individual works. A site providing just the Popcorn software does not, and that is what places it in his judgment outwith what "the act of communication to the public" can "be stretched ... to cover" (38). This is why "in the end" he says "he was not convinced"; though did consider the claimants has "a stronger case". But what he does find is that "the suppliers of Popcorn Time plainly know and intend" the application to be "the key means which procures and induces the user to access the host website and therefore causes the infringing communications to occur." Finely-ground logic, but this does seem to get to the appropriate question: whether the key intention of providing the software is to facilitate privacy. -- JH. Staying on the same topic - In your article of 27 January 2015 you wrote about the possibility that the Dutch Supreme Court would refer a number of questions to the CJEU and you mentioned in that article that the decision was due on 3 April. Forgive me, if you already covered this, but it now seems that the Dutch Supreme Court has decided to make such a reference to the CJEU: http://uitspraken.rechtspraak.nl/inziendocument?id=ECLI:NL:HR:2015:841. My knowledge of Dutch is not great, but I'm pretty sure that this is a decision about a reference to the CJEU and it appears that the Supreme Court decided not to refer all of the questions as suggested by the AG, but instead focusing on the question whether the work was uploaded with the consent of the copyright holder and whether the knowledge of the linker as to the lawfulness of the work makes a difference. @Anonymous: Thanks for your comment. @Eleonora: Thanks. I missed that. I'm quite curious why instead of or along with trying to get a website blocking order the claimants did not directly attacked the developers of the software for copyright infringement. Do you think that Pop Corn Time actually communicates or makes works available to the public?